Are you thinking about keeping bees?- Then why not learn with us. We are a friendly,mixed bunch of beekeepers and cover the areas of East Grinstead and its many surrounding villages including, Ardingly, Colemans Hatch, Newchapel, Chelwood Gate, Forest Row, Ashurstwood, Newick, Felbridge, Dormansland, Lingfield and Hartfield to name just a few. We are affiliated to Sussex Beekeepers as well as The British Beekeepers Association. 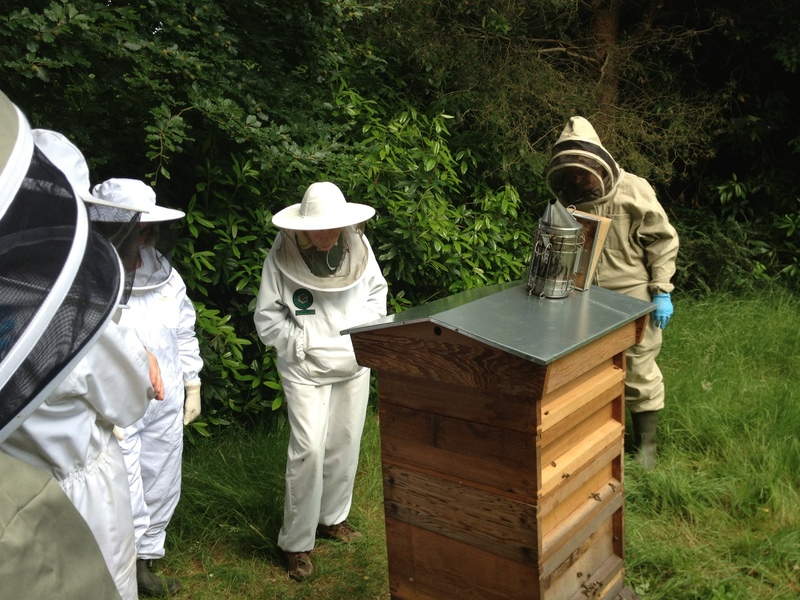 We have our own apiary and hold regular meetings throughout the summer and winter which include talks from expert speakers. Our aims are to promote and increase the local community's understanding of honey bees and beekeeping within our environment by means of teaching both adults and children through demonstrations at local shows and clubs to teach both beekeeping and what the community can do to help. Last but definitely not least by training our members to become better more informed beekeepers. We also try to provide education and support to people who might be interested in bees but do not have the time or space to keep bees themselves. There are many benefits of being a member of East Grinstead Beekeepers Association. We are very welcoming of new members and joining is easy. Photos of past East Grinstead Beekeepers Association events and activities can be found here.